The Rails swimmers and divers kicked off season with practice and preparation for the exciting months ahead. 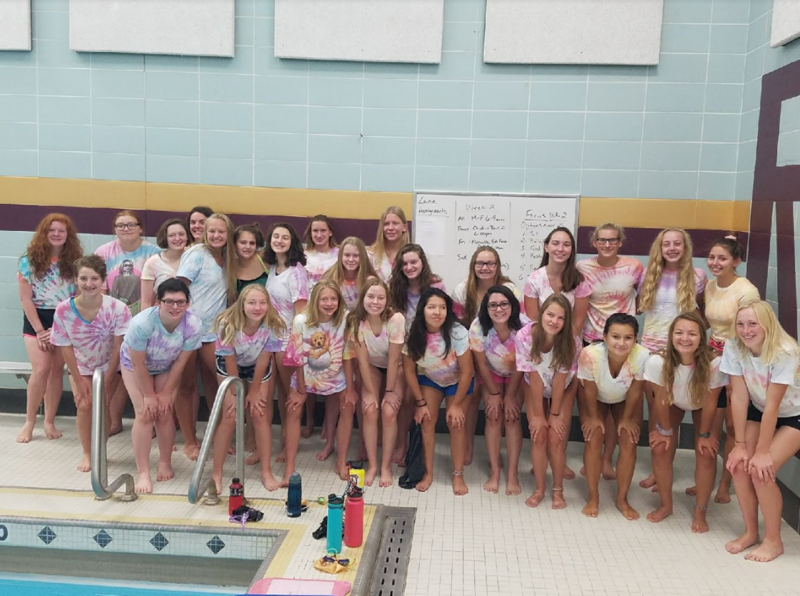 But in the middle of all the hard work, the girls took some time after practice to have fun tie-dying t-shirts (and other items like socks, chamois, tanks and more!) and eating some breakfast pizza. The tie dye event is a great way for everyone to get to know each other a little better outside of the pool. The girls grabbed white shirts, rubber-banded them into fun shapes and picked from 10 colors to make their shirt their creation! Check out the photos below to see the final results! On top of this early-season activity, the girls try to host several team activities throughout season, like team dinners or going out after meets. We encourage everyone to attend when they can because having fun with team out of the water makes the long hours in the pool pass more quickly! After all, becoming friends with teammates is definitely an awesome part of being an Rails swimmer and diver.